The Atlin Courthouse and Library featured 20 Atlin artists displaying their works. Atlin is known as the home of countless artists and this venue gave some of them the opportunity to show a few of their finest works. Kershaw’s Cafe featured 2 excellent painters that Atlin lost that year-watercolor artist Diane Smith and oil painting artist Peggy Milius in a Memorial Exhibition of their works. Tarahne Park was the site for landscape artist Dominik Modlinski, who painted a complete alla prima painting in one sitting as a demonstration for interested viewers. 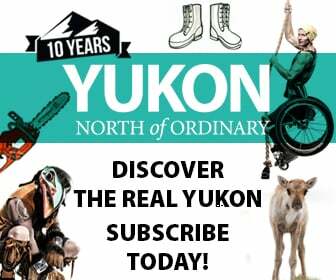 The 2004 Festival was an even greater success, with headliners Gary Comeau, the Tlingit Nation Dancers, and a wide assortment of performers from Alaska, the Yukon, and British Columbia. Performing Arts expanded to include comedy, dance, and improv theatre, and despite a rainy and cool weekend, 1300 turned out to have a wonderful weekend. The festival now seems to have a life and mind of its own!